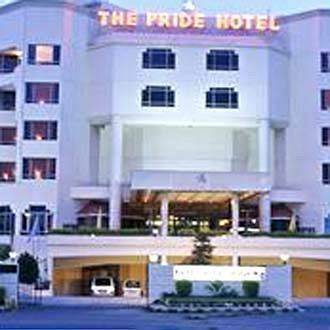 The Pride is a sprawling 5-star property that is strategically located between the industrial belt Buti Bori and the city. 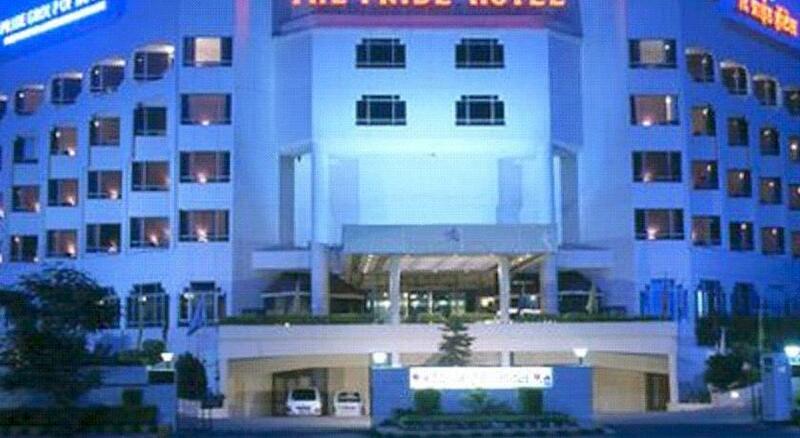 Being only 2km from the airport the hotel is easily accessible and it is only 4.4 km away from the railway station. 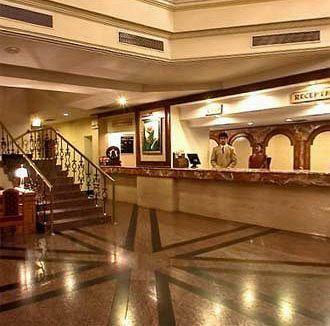 The hotel is well known for personalized services and impressive accommodations. 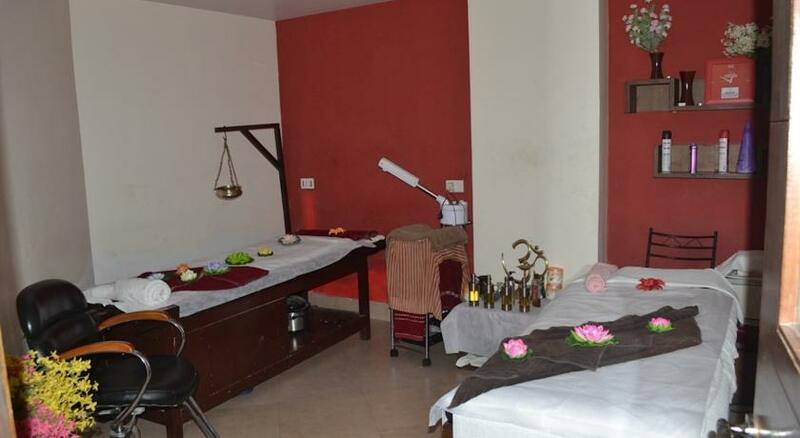 The grandeur and the host of services offered make it a place that you will return to time and again. The conference halls serve as splendid venues for any events and conferences the business traveler might wish to organize. At the guests disposal is the dedicated staff and state-of-the-art audio/visual equipment. 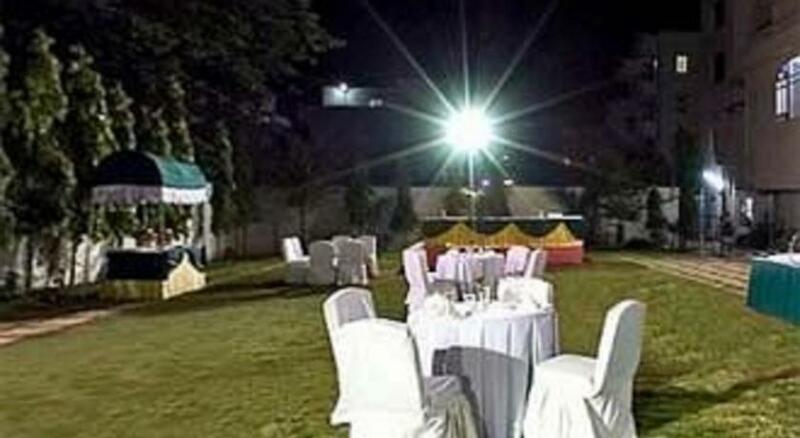 Host a grand wedding at the hotel’s banquet hall which will be an affair to remember. The large pool is cool to touch and offers a relaxing swim while enjoying the sunshine. 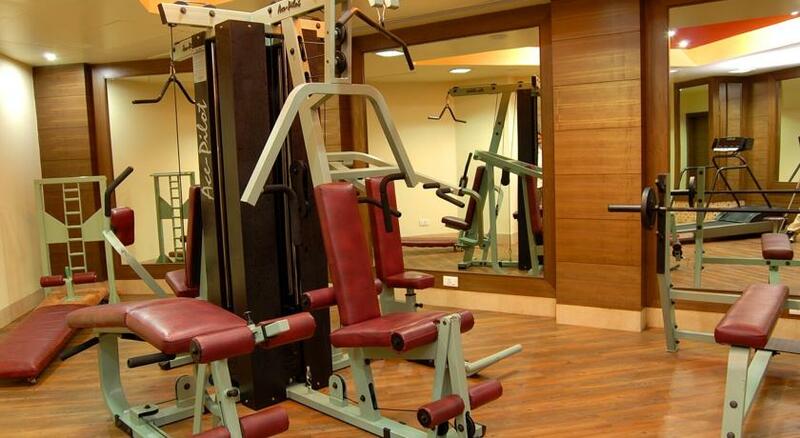 Distress your body and get some blood flowing with the gymnasium located within premises. The various services offered are laundry and dry cleaning services, doctor-on-call, activity center, currency exchange, baby sitting services, car hire, travel desk, boutique and gift shop, safe deposit lockers, internet accessibility, parking on site, games room, business center, room service round-the-clock and valet parking. 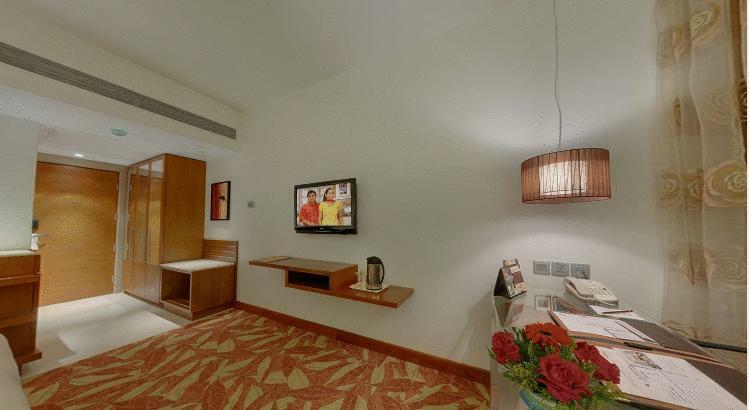 All the 93 Suites and Rooms are superbly furnished and promise a hassle-free stay. 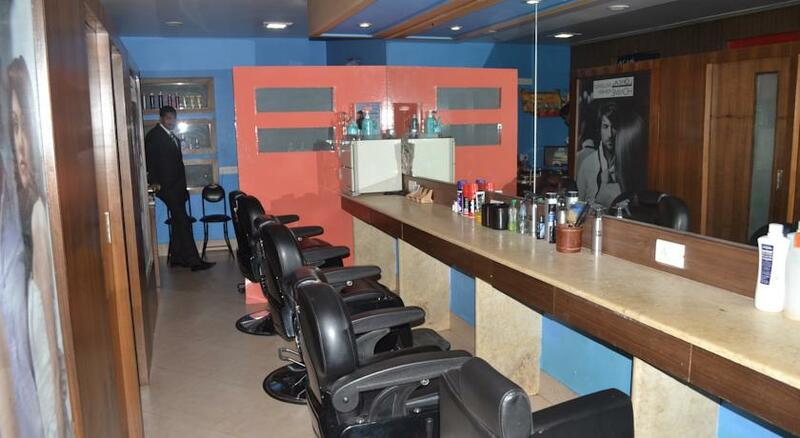 The dining and entertainment options include Casablanca, Puran-da-dhaba, Café symphony and Royal Lancers. 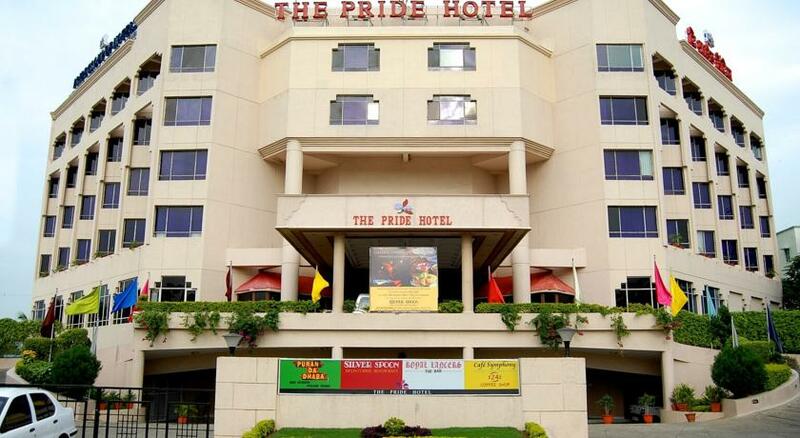 The Pride is also the recipient of the prestigious Certificate of Excellence from TripAdvisor for the year 2012. 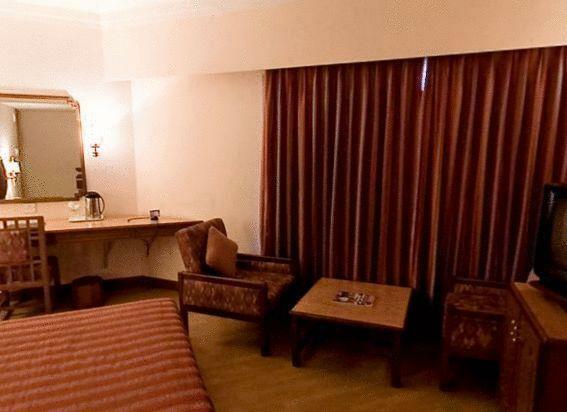 Presidential Suites are luxuriously designed and utterly divine to stay in these suites exude a royal charm with their extensive drapes, wooden flooring, bold furniture and sheer vastness of the suite. 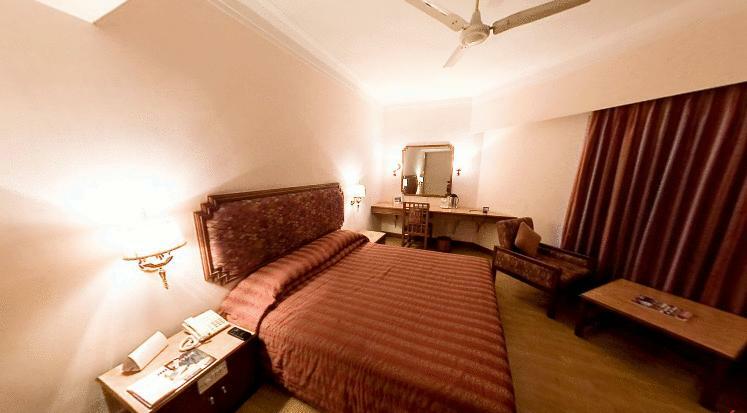 These suites comprise of a spacious bedroom, luxurious living room and a bathroom. The various amenities offered are cable T.V, tea/coffee maker, electronic safe, internet access, mini bar and direct dial telephone. 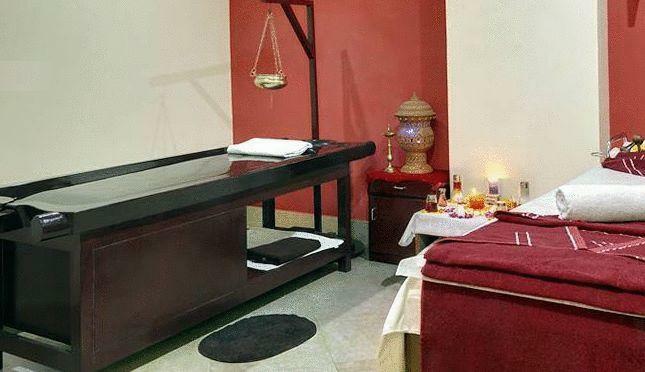 Many services are offered complimentary like buffet breakfast, laundry (1 set), welcome drink, fruits basket, chocolates and cookies platter, mineral water, newspaper, drinks at the in-house bar, access to the pool and discount on spa and saloon services. The attached bathroom comes equipped with hairdryer and complimentary toiletries. Premium Suites are the perfect example of comfort that meets style. The suite is resplendent with upholstered sofas, king-size beds, elaborate drapes and pleasing interiors. The suite comprises of a spacious living room, bedroom and a bathroom. Complimentary services offered are a buffet breakfast, fruits basket, chocolates and cookies platter, welcome drink, mineral water, newspaper, drinks at the in-house bar and access to pool and discount on the spa and salon services. The in-room amenities offered are cable T.V, tea/coffee maker, direct dial telephone, internet access, mini bar and electronic safe. The attached bathroom is modern and comes with hairdryer and essential toiletries. 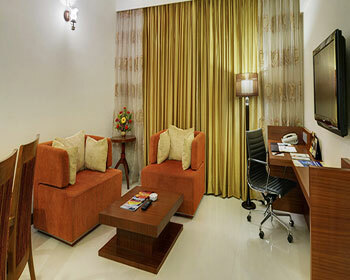 Superior suites offer a comfortable and a memorable stay. 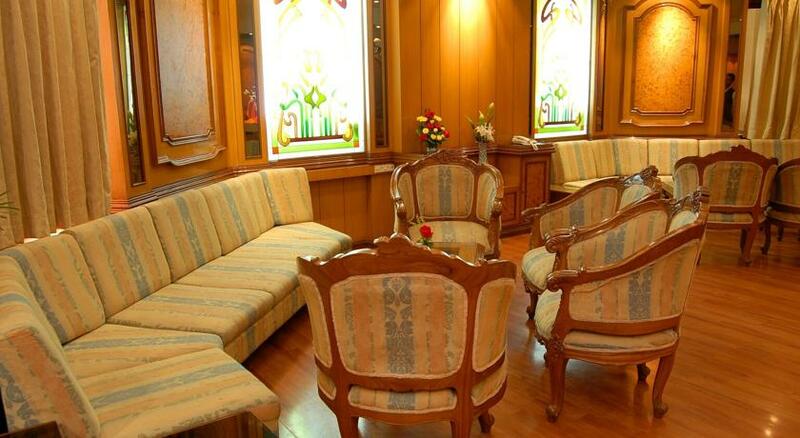 These suites are nicely furnished with sofa, king-size bed, writing desk, luggage rack, vanity table and wardrobe. The in-room facilities provided include tea/coffee maker, cable T.V, direct dial telephone, mini bar, internet access and electronic safe. 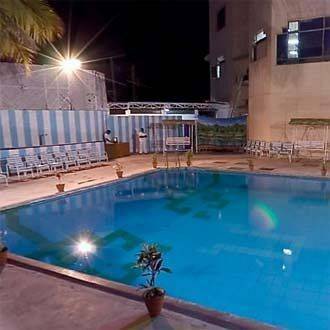 Many services are offered courtesy of the hotel like buffet breakfast, mineral water, fruits basket, chocolate and cookies platter, free drinks at the in-house bar, access to pool and welcome drink. 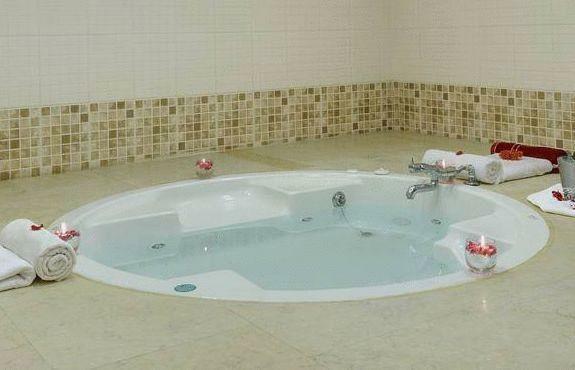 The attached bathroom comes with complimentary toiletries and hairdryer. 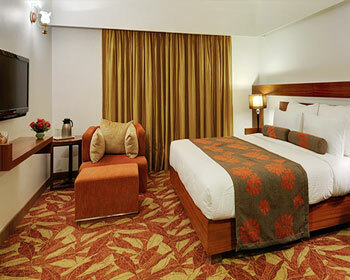 Premium rooms are quite spacious to stay in and nicely appointed. The interiors are done in nice colors with designer drapes and king-size beds. The wooden floor, extensive wood work and the four-fixture bathrooms make it an ideal choice to stay in. complimentary services offered include buffet breakfast, fruits basket, chocolate and cookies platter, mineral water, access to the pool, drinks at the bar, welcome drink, laundry (1 set) and newspaper. Facilities offered are mini bar, internet access, tea/coffee maker, cable T.V, direct dial telephone and electronic safe. The private bathroom is done in modern style with complimentary toiletries and hairdryer. 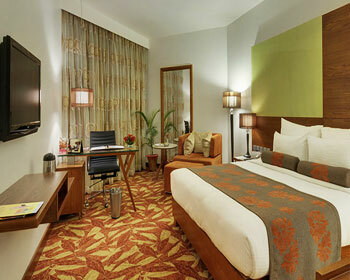 Superior rooms are pristine, beautiful and designed with opulence. 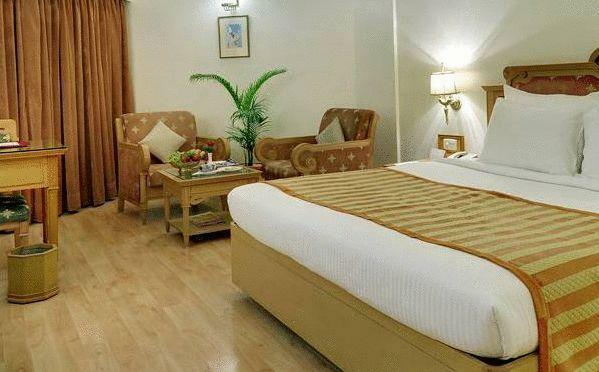 These nicely designed rooms come with wooden flooring, pretty drapes and nice furnishings. In-room amenities include mini bar, tea/coffee maker, cable T.V, internet access and direct dial telephone. The attached bathroom comes with complimentary toiletries and hairdryer. 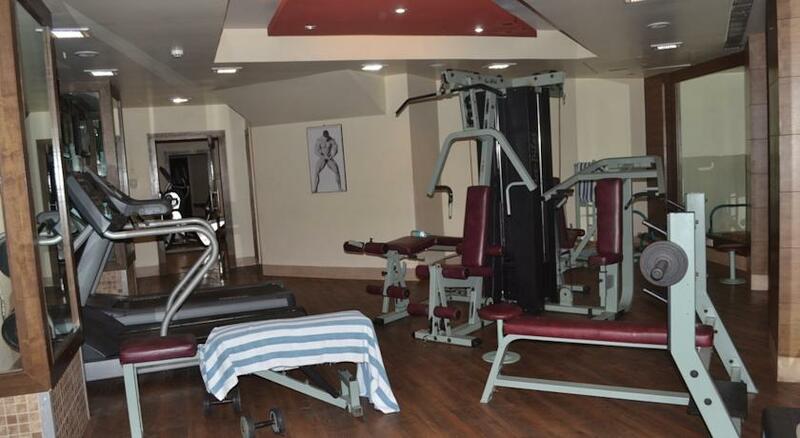 Other complimentary services offered are buffet breakfast, mineral water, welcome drink, drinks at the bar, cookies platter, access to pool and newspaper. 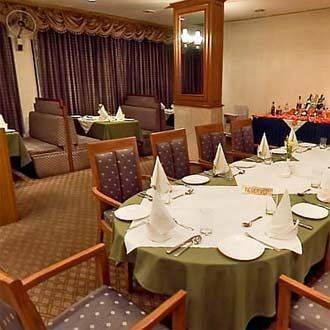 Non smoking rooms are available and can be requested. 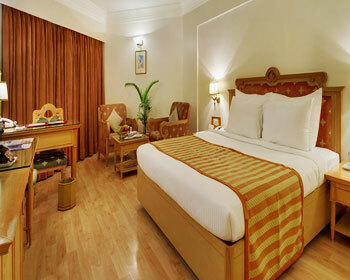 Deluxe rooms are wonderfully appointed and are quite spacious to stay in. a welcome drink greets you on arrival along with many complimentary services like buffet breakfast, mineral water, access to pool and cookies platter. 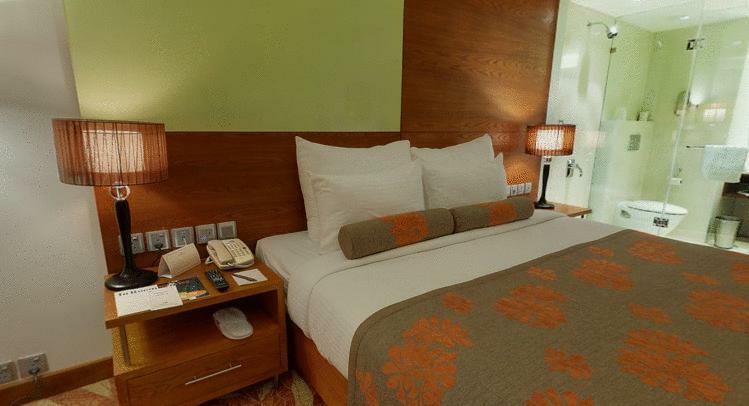 The various in-room facilities offered are cable T.V, internet access, mini bar, direct dial telephone and climate control. The bathroom comes equipped with complimentary toiletries. 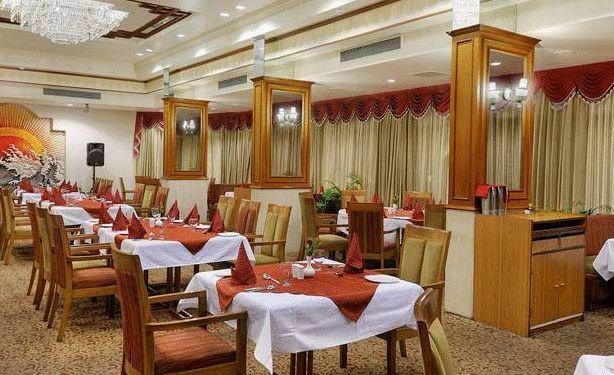 Casablanca is a fine dining multi-cuisine restaurant located on the lobby level of the hotel. The master chefs leave no stone unturned in bringing to you their signature dishes with a hint of local flavors to jazz up the food. 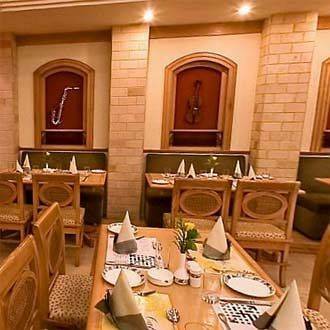 Let the soothing music accompany your dishes as you enjoy the fine ambience and feel heady with the intoxicating and divinely delicious food. The soft lighting and the candle light dinner experience makes it truly a romantic affair to enjoy. An authentic and genuine Punjabi experience can be enjoyed at Puran-da-dhaba. 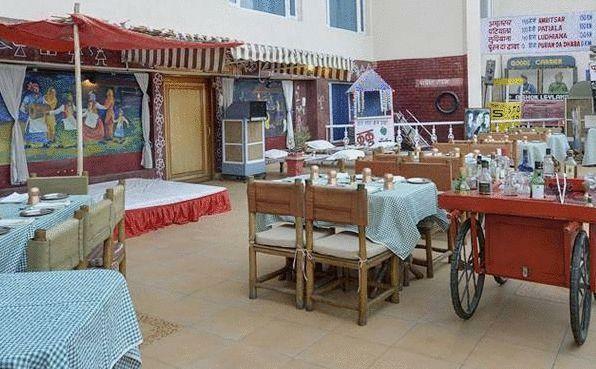 This restaurant takes the traditional road side dhaba culture and twists it around to present it at a venue that will leave you spellbound. The rustic environment with its wooden carts, the décor all are a shout back to the Indian culture of dhabas. 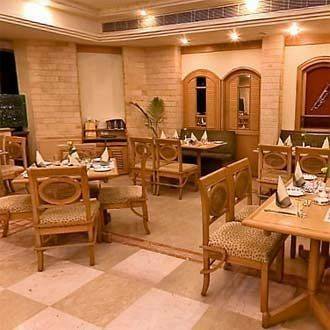 Enjoy sizzling tandoor dishes prepared by celebrated chefs. The live Indian music only adds on to the fun ambience. Café symphony is open for round-the-clock dining and is located in the lobby. 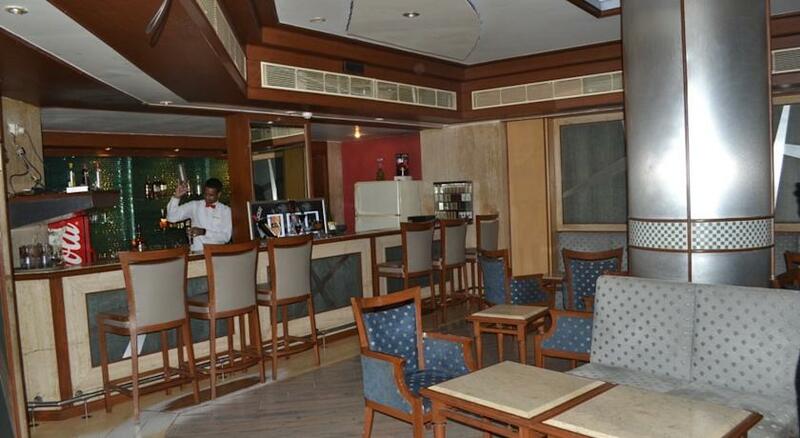 The café brings to you an extensive international menu that is a charming blend of the traditional with the new. The buffet spread is the popular choice of many and a great way to start your day. The open kitchen is another feature that lets you witness live the beauty of cooking. 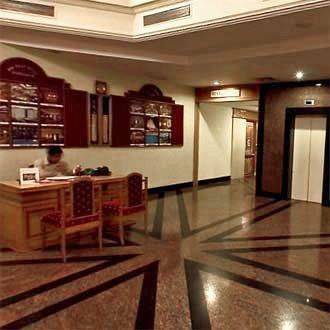 Royal Lancers is the in-house bar located on the lobby level. This bar serves an exquisite selection of liquor imported from all over the world. Non-alcoholic drinks are also served. The bar is a good place to hang out with your clients and loosen the atmosphere and become friendlier over a few glasses.